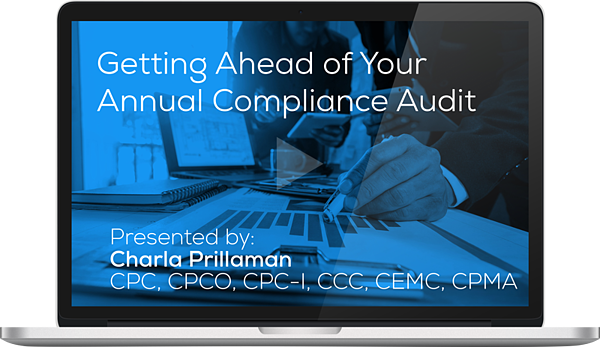 Get Ahead of Your Audit. And Stay There. It's been said that coding audits are the heartbeat of any compliance program. And it stands to reason that staying on track with your audit is essential to your program's success. The trouble is, our day-to-day workload can keep us from staying the course. But there's good news: there are tried and true strategies to not only help keep your auditing program on track but also increase your efficiency and effectiveness. PLEASE NOTE: This program meets AAPC guidelines for 1.0 CEU. Can be split between Core A, CPCO, CPMA and CDEO. You will receive your CEU in a separate email after watching the on-demand recording.